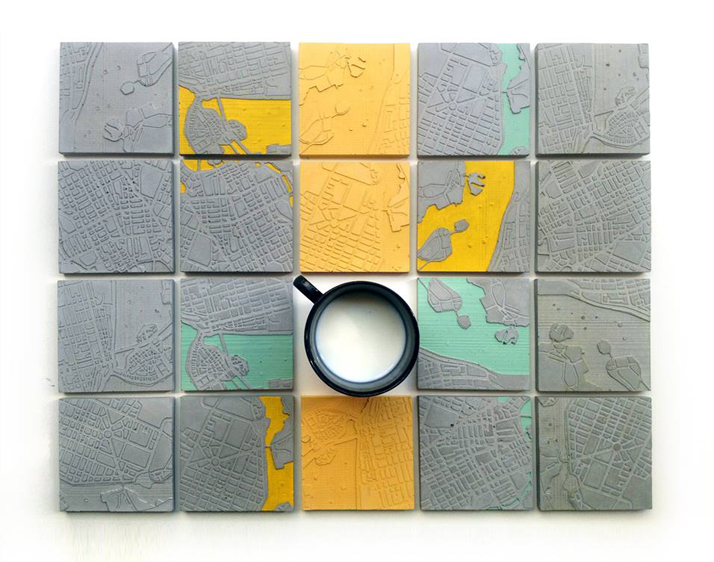 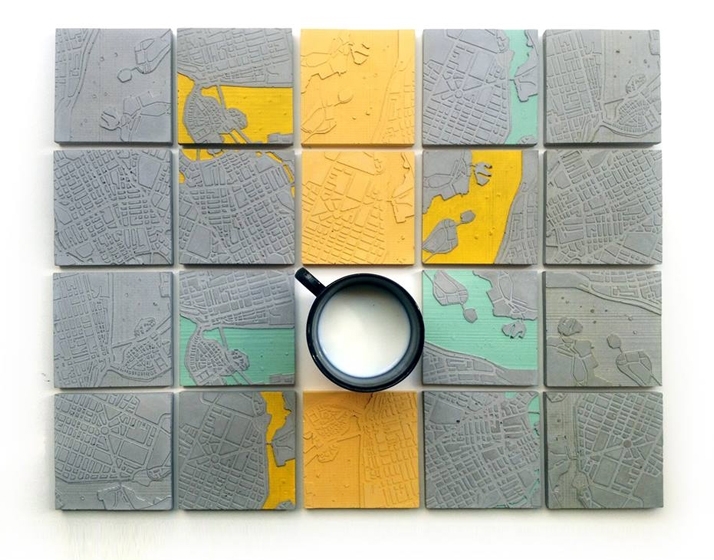 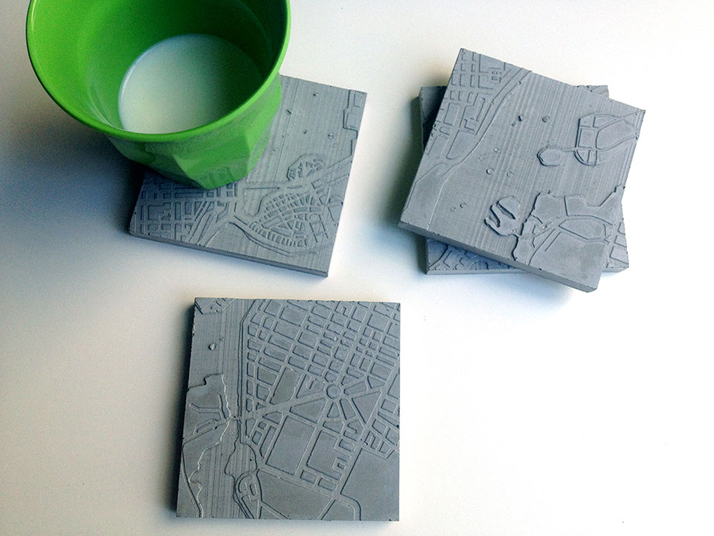 A series of concrete coasters with the map relief of favorite cities of the world on their surface. 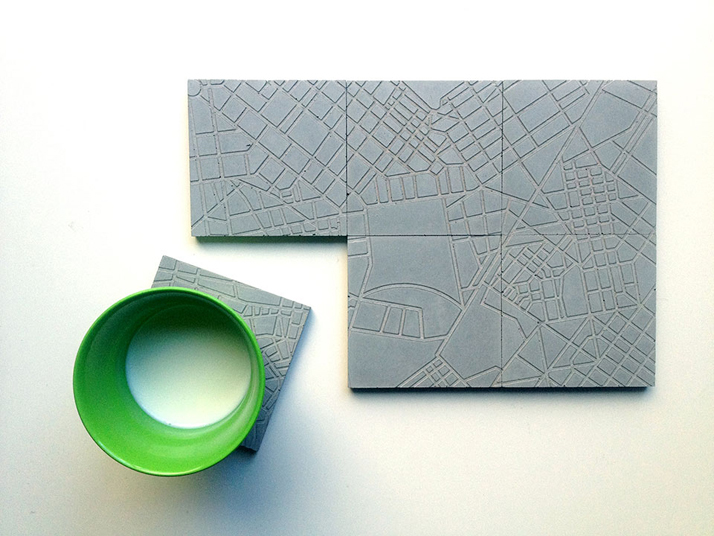 The cities lay before you, fragmented, imperfect but concrete. 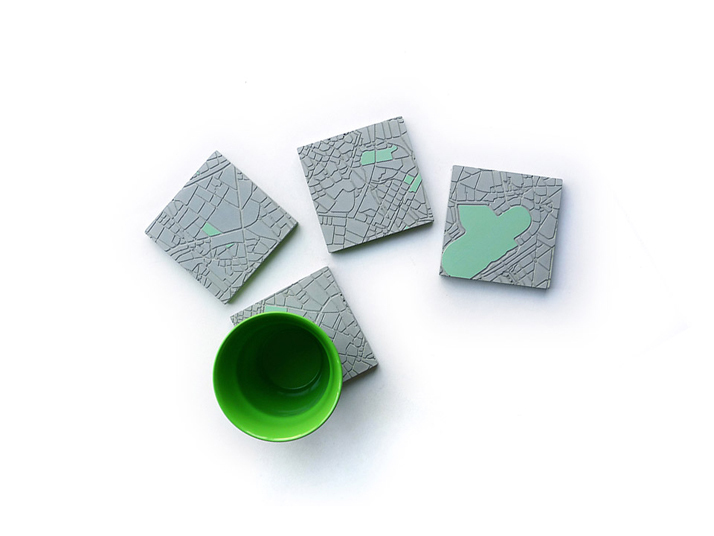 Every piece is different and all together, they create a unique image, the one that forms out of your personal memories. 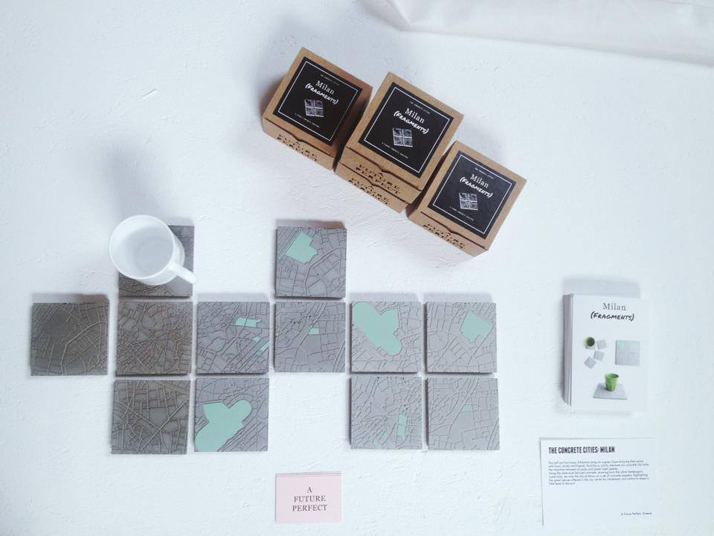 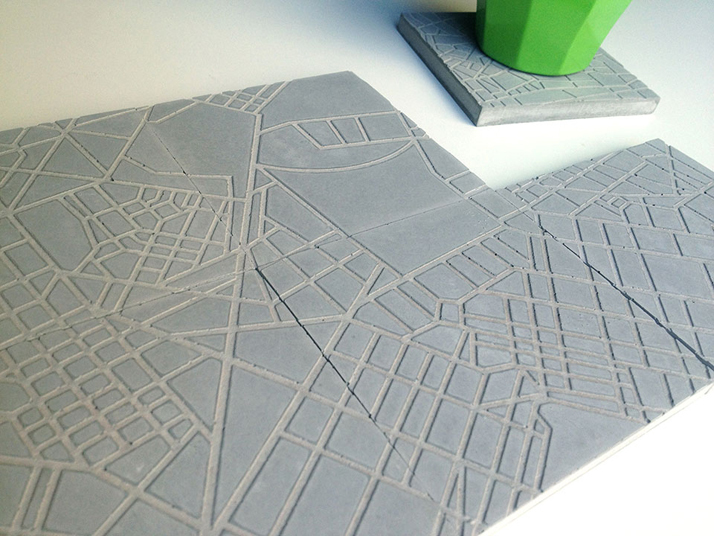 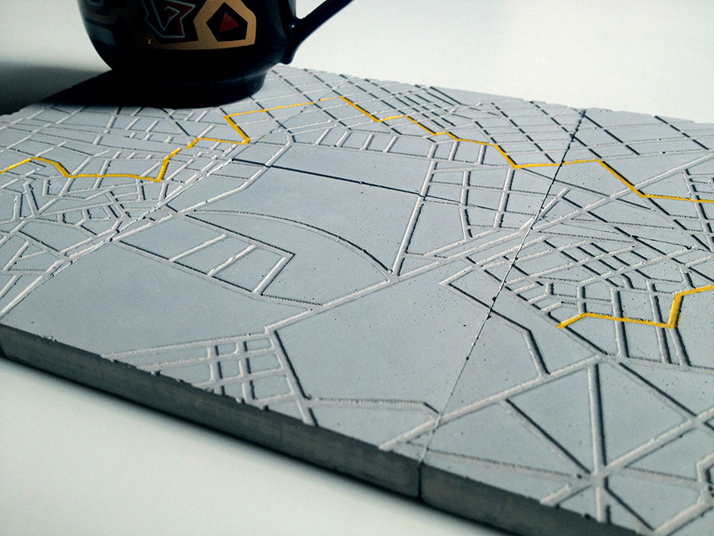 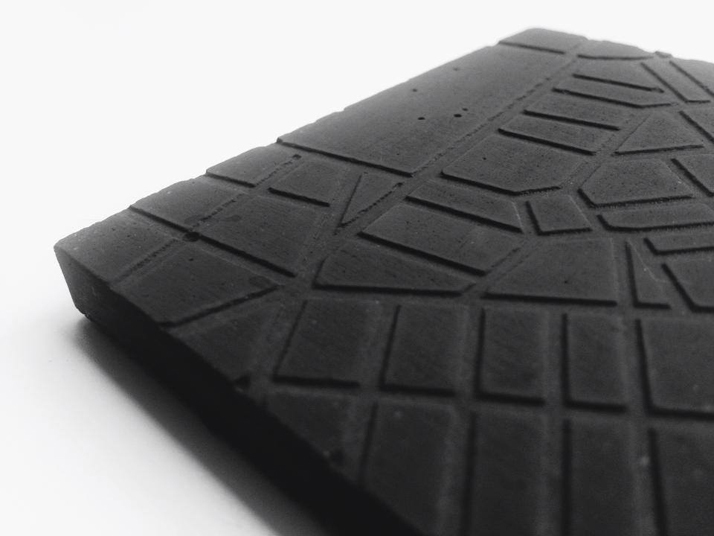 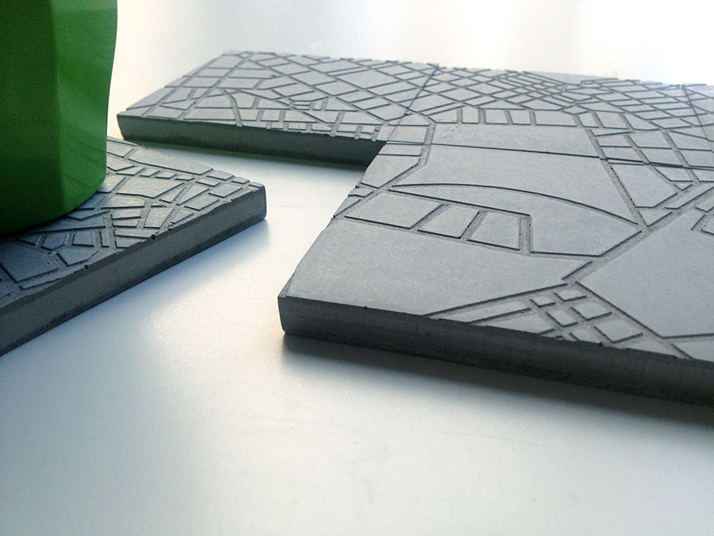 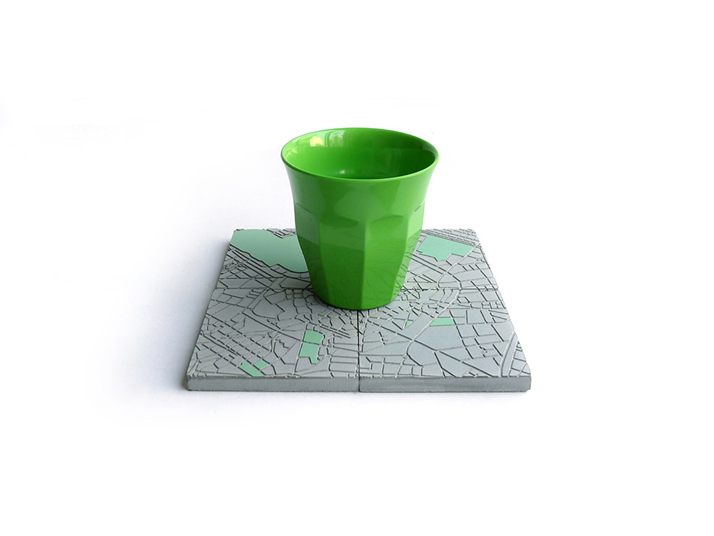 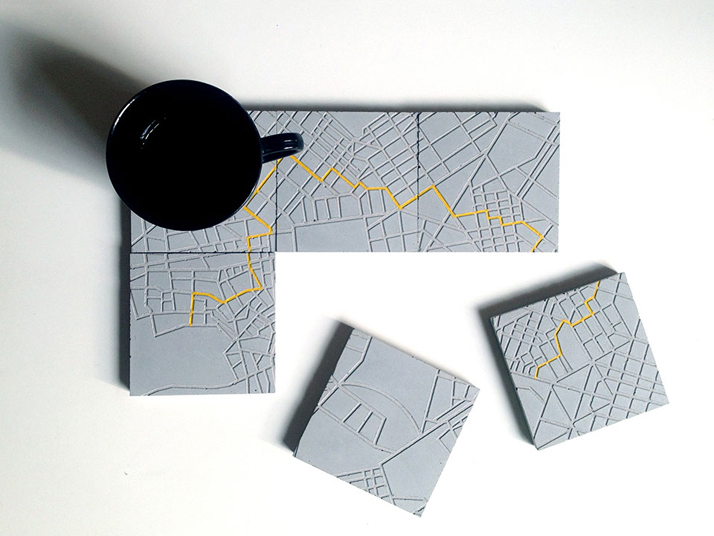 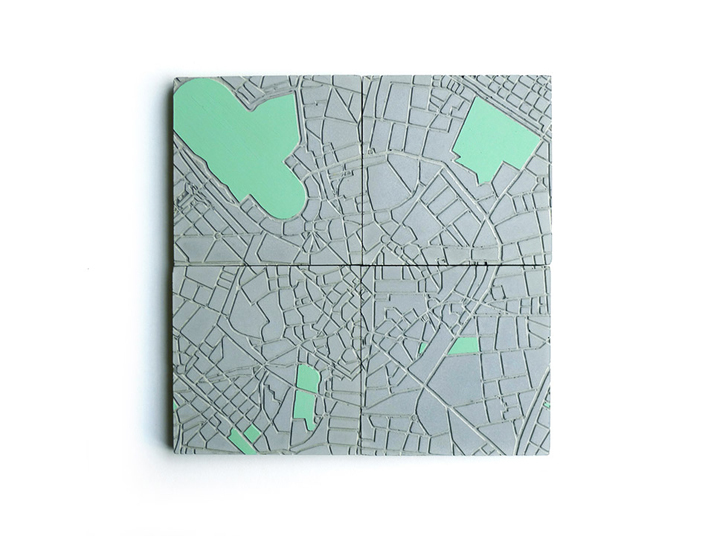 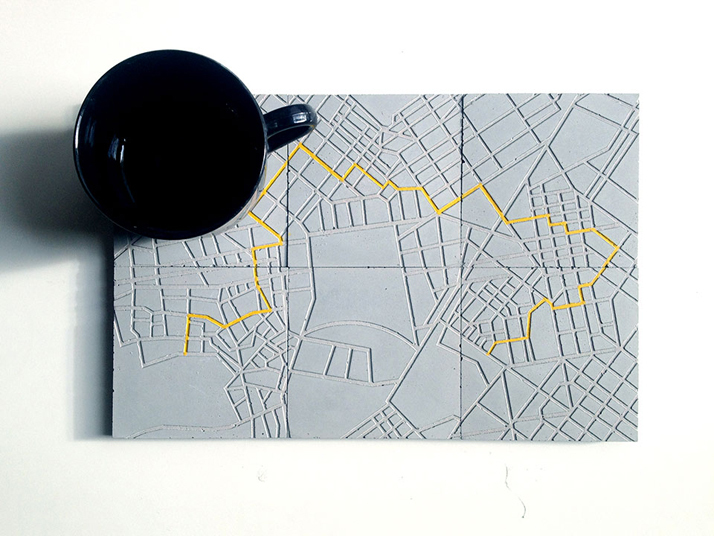 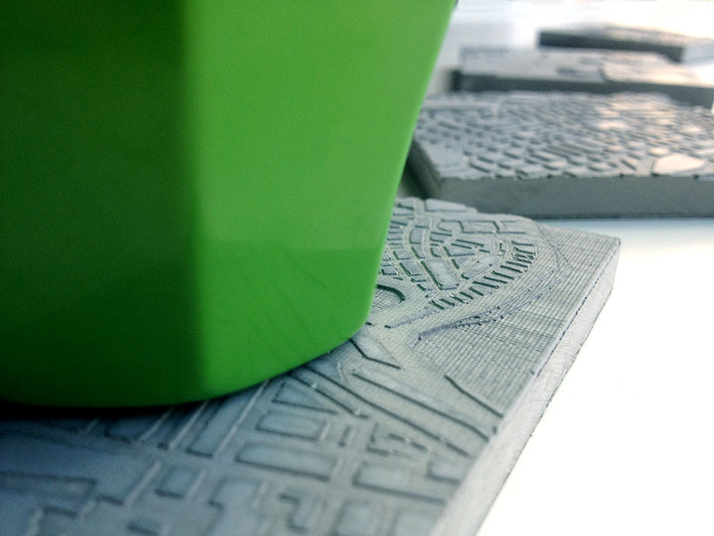 The Concrete Cities Project, brings to you mappings of favourite cities of the world, in the form of concrete coasters. 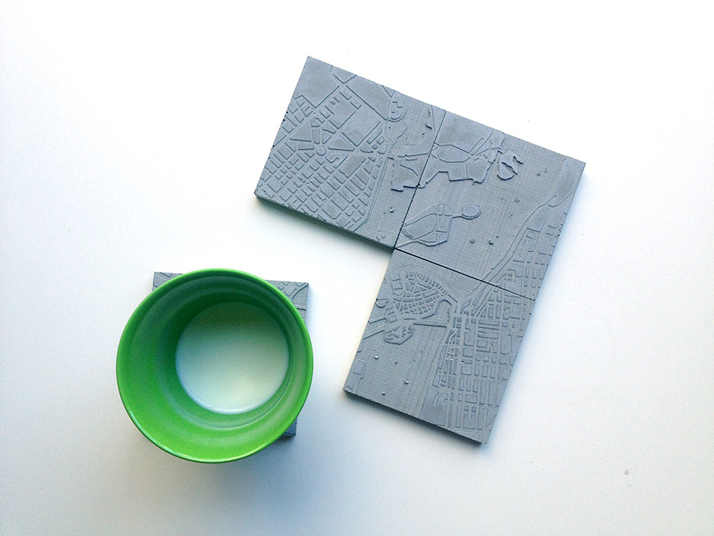 Starting with Athens (Fragments), Stockholm (Fragments) and Milan (Fragments) we set off to map the world in concrete! 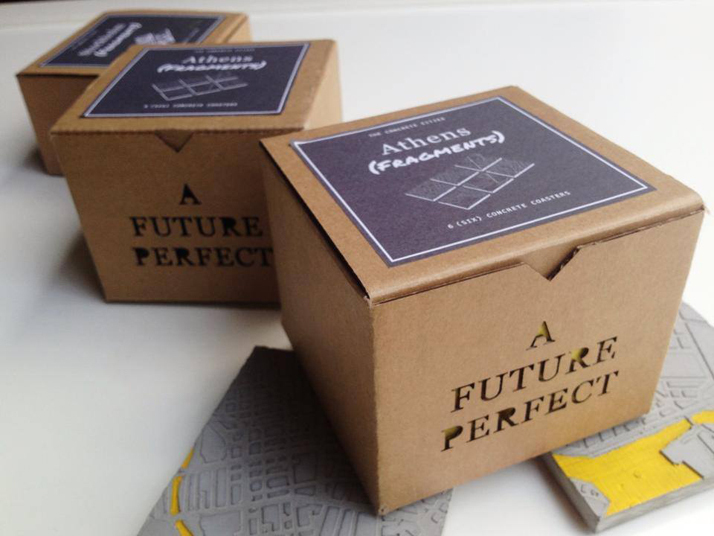 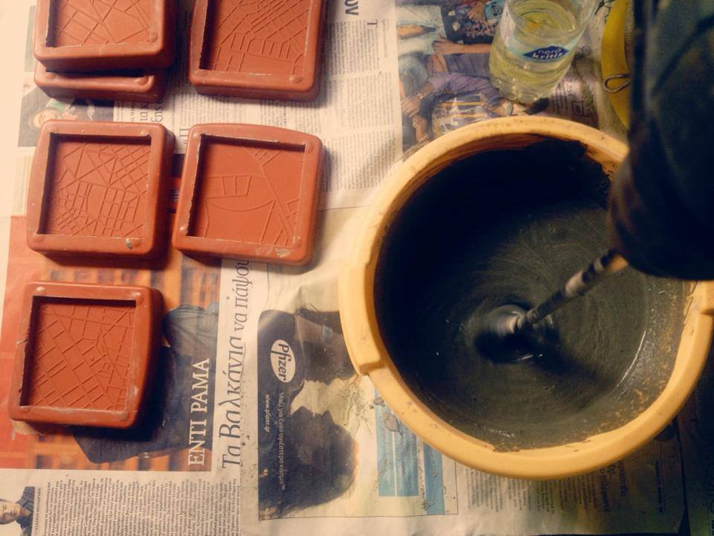 A Future Perfect is the creative partnership of Katerina Grigoropoulou and Evi Sougkara, launched in 2013 in Athens. 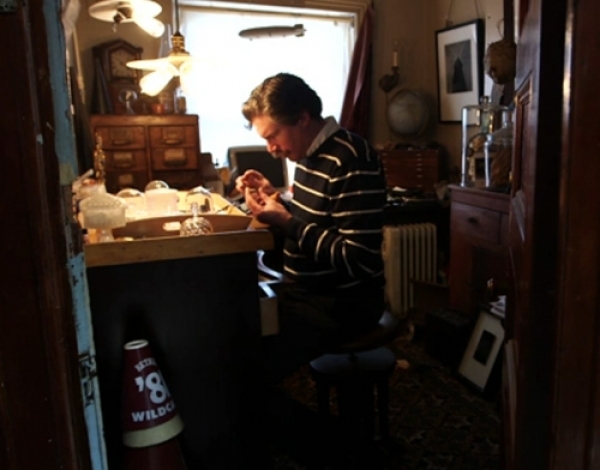 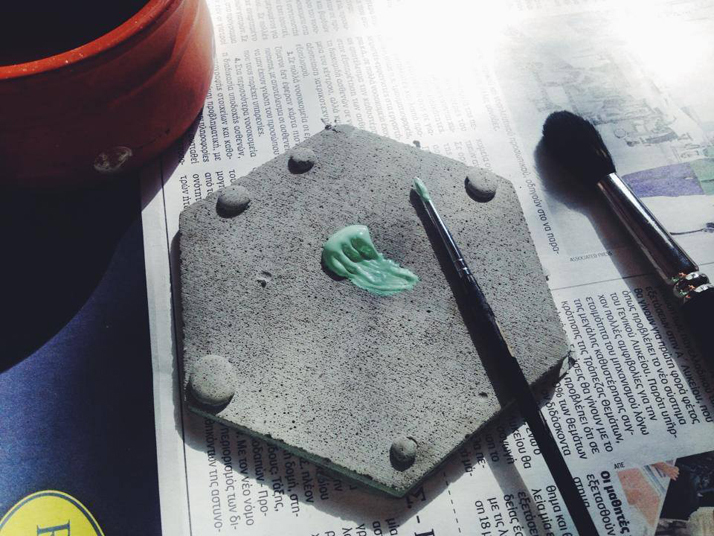 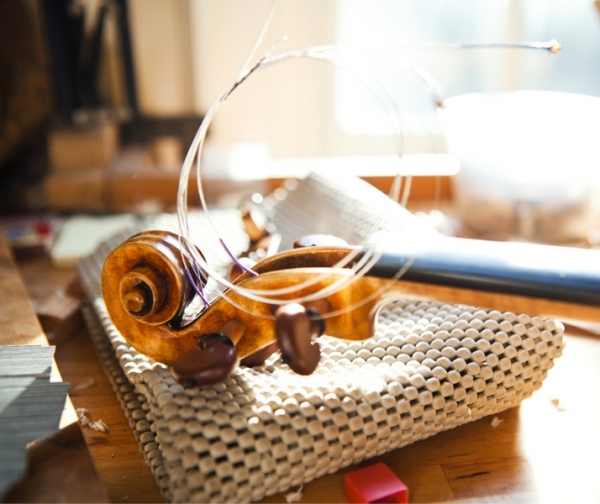 AFP, is a platform for creative experimentation with materials and small scale objects. 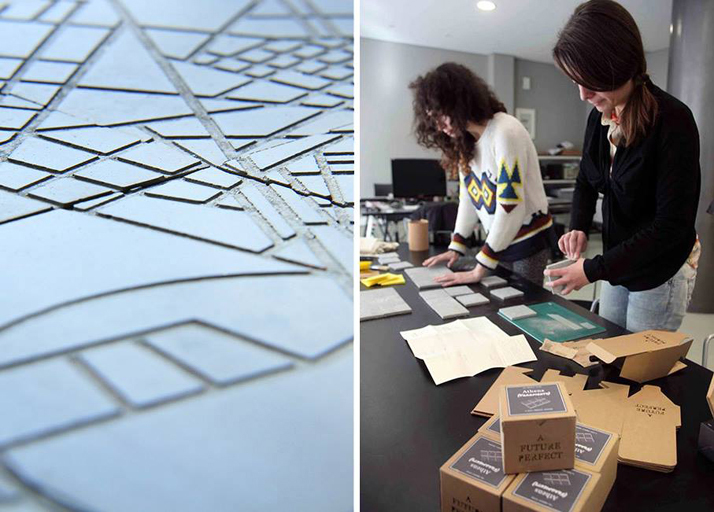 Fellow students in Architecture School, colleagues, friends, and roommates during their studies in London (Interior Design και Performance Design respectively), Katerina and Evi have worked with different projects, scales and disciplines (Imagine The City, Campana Workshop – New Hotel, Lamb and Lamp). 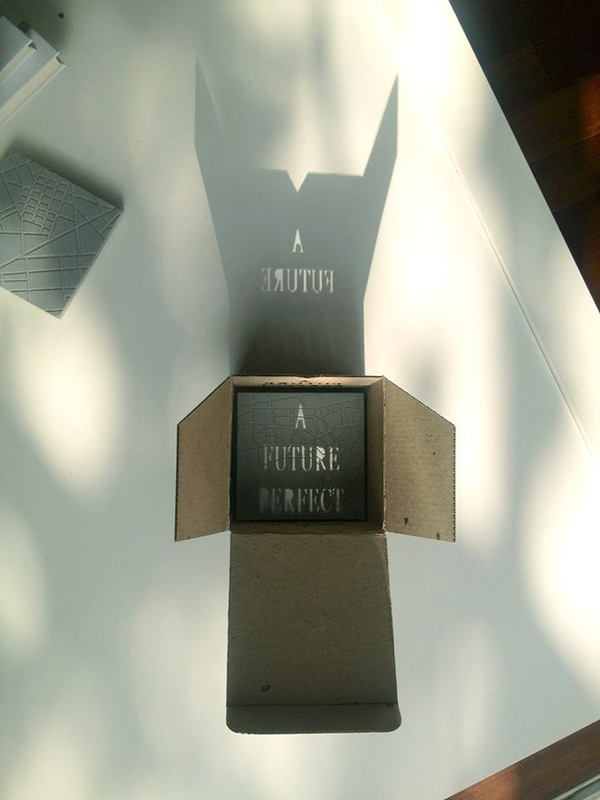 AFP is the outcome of their creative experimentations with materials and small scale objects.